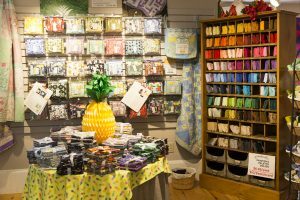 Pineapple Fabrics retail store location is next to the Keepsake Quilting store in Center Harbor, New Hampshire. The retail store hours are Monday – Saturday, 9am – 5pm and Sunday from 10am – 4pm. Pineapple Fabrics has Warehouse Sales every 6 to 8 weeks in Archdale, North Carolina. 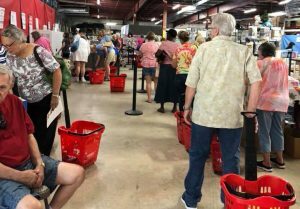 Please check the Calendar to see when the next Warehouse Sale is.